Let's face it, it's spring now and summer is just around the corner. Of course one of the must have staples in any summer wardrobe is the two-piece bikini. The ruched bottom bikini adds instant booty lift and volume. Here's a picture of Victoria's Secret's Candice Swanepoel rocking the ruched bikini bottom. 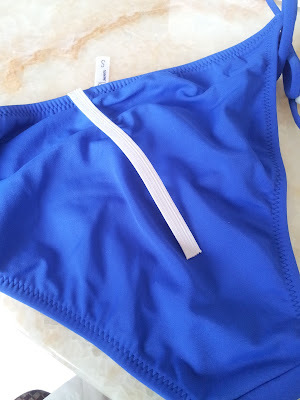 This is a very simple DIY but I would still recomend practicing on an old bikini bottom as you would want to get a feel for how much gathering would fit you best. Here's two easy ways to ruche any bikini bottom. This method is like a permanent ruche; meaning there is no stretch to it, instead the rouche stays in place. Using your needle and tread start from the top of the bikini making a simple in/out stitch about 3-5 mm apart, the closer you make it the smaller the gathers will be, more space in between stitches will mean larger gathers. 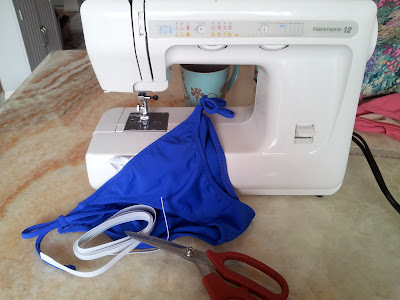 I would only recomend going half way with the rouching as this method gathers more material and if we were to thread all the way to the end, the bikini would be very, very small. 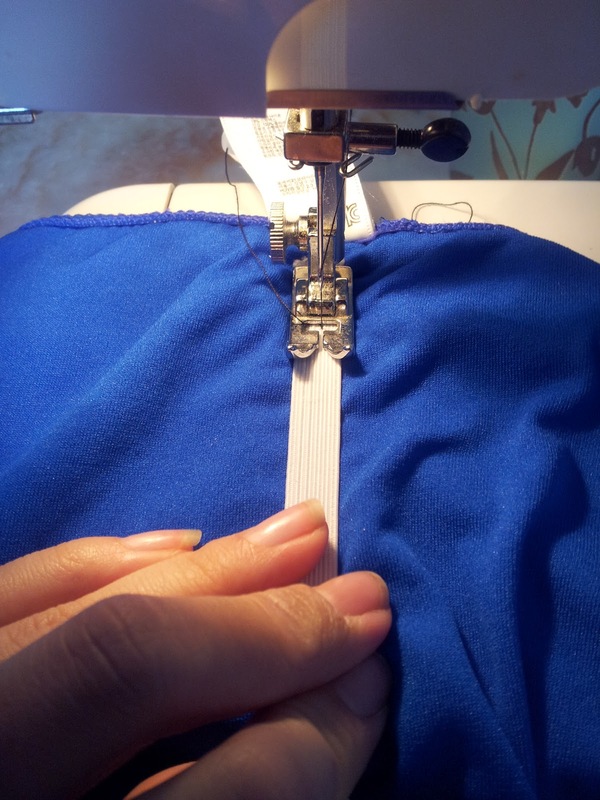 Your stitch should look like this. 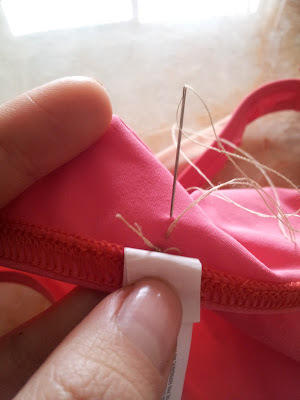 The needle should be on the inside of the bikini, not the outside when you are finished. 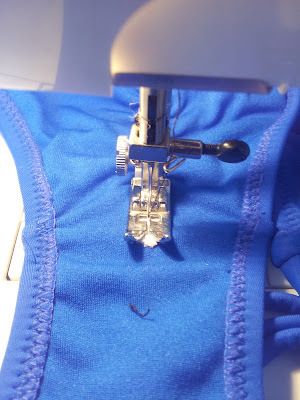 Pull the thread back and scrunch the fabric tight, it shouldn't be too tight but just enough so that there is no thread showing between the gathers. Tie a knot to secure your ruche in place. 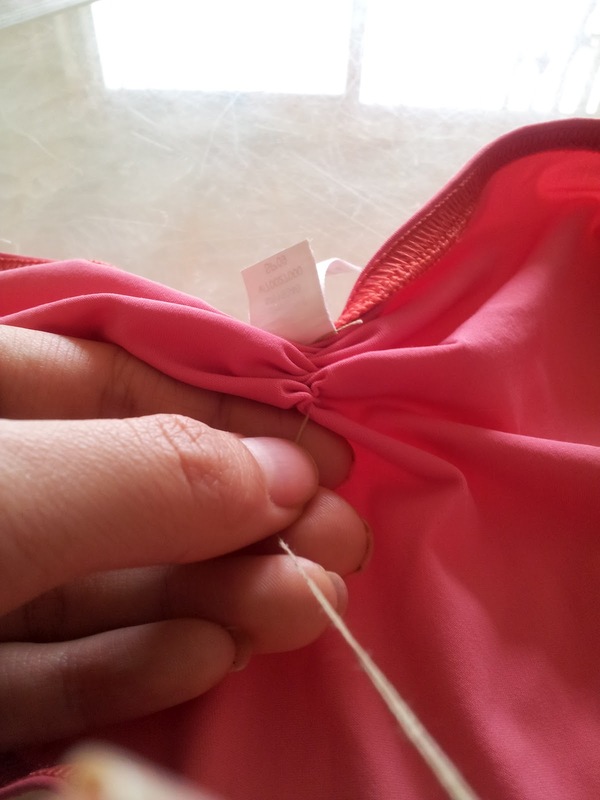 This method uses an elastic to hold the ruche in place. This allows the ruche to stretch and unfold. 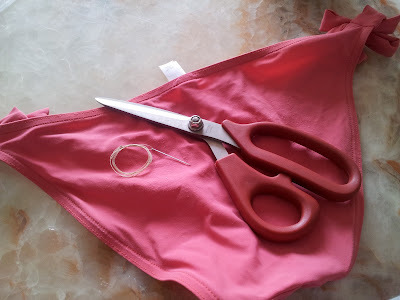 Cut your elastic tape to your desired size. When you stretch out the tape it will represent the length of fabric it will gather, use this tip to help you measure how much elastic tape you want to use. The amount I have cut is going to be enough to ruche the entire back of the bikini. Align your elastic tape to the top of the bikini. Make a back and forth stitch through the sewing machine to knot the thread in place. Gently stretch out your elastic tape as far as possible and slowly move your feed it through the sewing machine. 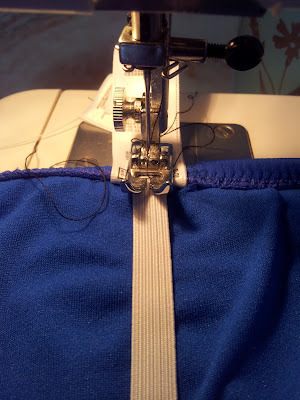 When you get to the end, make your back and forth stitch again, ensuring that your ruche will not come apart. And here is the finished look, of course you could ruche as much or as little of the bikini as you personally desire. this was the best tutorial for this so far and managed to be so without a video. thanks silvia! I've always done this by hand. 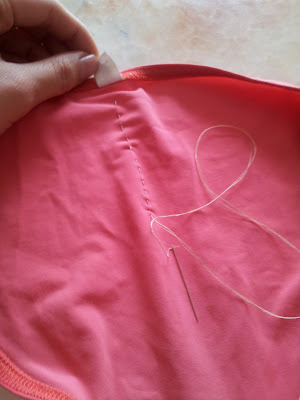 This is the first tutorial I've come across that tells us how to do it with the elastic band and sewing machine. Great info. Thanks !